Himolla Basie Recliner with Integrated Footstool- Comfort You Can Count On! You can count on the upbeat, luxurious comfort the Basie Recliner and Footstool from Himolla will resonate to your tired neck, back and body everyday. Tune your body to the perfect volume of comfort with its integrated footrest, headrest and manual gas back. Seat height adjustment by gas spring. Adjusts from 17.5 to 20 inches. 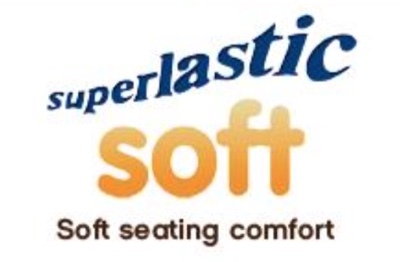 Soft, superplastic seating for comfort. Wide selection of high-quality, long-lasting leather and color options. Manual gas backrest with independent adjustment. Integrated footrest saves precious floorspace. Adjustable backrest to lying down position. 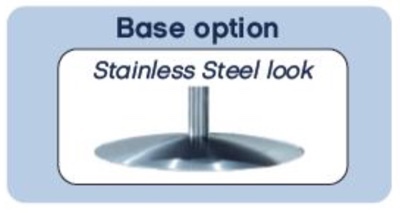 Beautiful, shiny polished Stalnless Steel Style Base.